A commission in the Department of Labor and Employment under the Ministry of Labor and Social Welfare issues work permits in Kosovo to foreigners. An application for a work permit must be processed or refused within 30 days after the date of submission of the required documentation. Various types of work permits can be obtained depending on the planned duration of the work in Kosovo and the type of work to be performed. Foreigners are permitted to stay up to 90 days in a 6-month period without a residence permit. If the individual intends to stay for more than 90 days in Kosovo, an application for a residence permit must be made at the Department of Citizenship, Asylum and Migration under the Ministry for Internal Affairs of Kosovo. Temporary residence permits are issued for a period of up to one year. The applicant's presence is required at the moment of application, registration and obtaining the residence permit. Employers and employees must each make pension contributions at a rate of 5% of gross monthly salary. Employers must pay the total amount of the contribution by the 15th day of the month following the month of the salary payment. Employers and employees may each make voluntary contributions up to a total of10%of monthly salary, resulting in a total maximum contribution of 15% of salary. If wages are paid substantially in kind, employers and employees must each pay 5% of the market value of the payments in kind. Self-employed individuals must make a contribution of 10% to 30% of the net amount of income (gross income less allowable deductions). Self-employed individuals must file quarterly statements of individual pension contributions and make quarterly payments of contributions within 15 days after the end of each calendar quarter. The minimum wage for contribution purposes is €78. 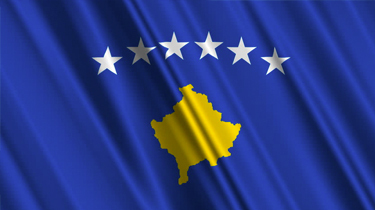 Thinking of contracting in Kosovo?